Do you want to know the secret to beautiful skin? Orange blossom water! You may think that this beneficial water comes from the pretty flowers of the orange tree, but that’s not the case. Orange blossom water is a by-product of the process of distillation that is used to obtain the essential oil from the seeds, peel, leaves, bark, and pulp. The most important part – there are a number of health benefits of orange blossom water. Would you like to know more? Keep reading! Orange blossom oil is also known as neroli essential oil. Orange blossom water or Orange flower water is obtained by exploiting certain fractions of the oil’s hydrophilic qualities. Like rosewater and other flower waters, it is widely used in cosmetics, aromatherapy as well as in cooking. Orange blossom water is known for its wonderful effects on the skin (1). It is a great toner for oily skin. This flower water is so gentle that it is even used as an ingredient in products made for babies. Replace your toner with this all-natural one, but make sure that you purchase orange blossom water made from natural and pure distillations. 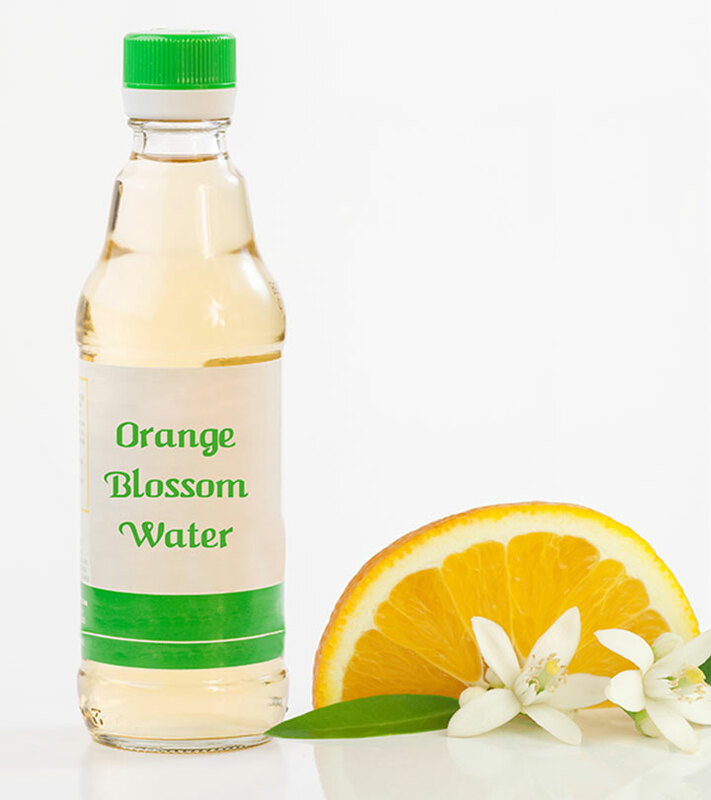 One of the reasons orange blossom water is so widely used in aromatherapy is the soothing effect it has on the nerves. Adding it to your bathwater will ease tension and even cure headaches. It also helps in relieving stress and anxiety. Another benefit of adding orange blossom water to your bath water is its ability to make your skin soft and glowing. It will help moisturize your skin and makes it feel like satin all day long. All you need to do is add ¼ cup of this amazing flower water, 3 tablespoons of honey and 2 to 3 cups of warm milk to your bathwater to get beautiful, soft skin. In the Middle East, orange blossom water is used in a wide variety of ways. Children are given this beneficial flower water as a natural treatment for upset stomach, indigestion and gas. It is known to work wonders, making it a great natural and safe remedy. As mentioned earlier, orange blossom water has fantastic effects on the skin. It is especially good for sensitive and oily skin types. It helps in soothing skin irritations and reduces the redness that comes with irritated skin. If your skin is prone to problems, use orange blossom water as an effective remedy. As you have read, orange blossom water is so mild that it is even used in the making of baby skincare products in France. It is due to this gentleness that it can be used on animals. If your pet has a wound, you can use this water to help it heal faster. Orange blossom water, and other flower hydrosols, can be found in a wide range of skin lotions and creams due to their ability to help skin look and feel soft and beautiful. Your skin can benefit from this flower water when it gets sunburned as well. Its mild effect will help in soothing the burn and reducing the redness on your skin. Orange blossom water is also used in many hair care products. Not only does it smell absolutely amazing, it provides quite a few benefits as well. 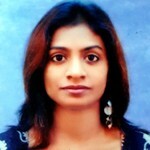 It helps in conditioning your hair so that it is lustrous and strong. Orange blossom water also makes your hair shiny. One of the best things about orange blossom water is its beautiful fragrance. When you have it at home, you do not need a commercial air freshener. Just pour a couple of teaspoons of this flower hydrosol into a bowl of water and let its natural perfume fill every room in your home. You have already learned that the scent of orange blossom water has a calming effect. This is great for people who suffer from insomnia. All you need to do is drop a small amount on your bed sheet to let it take effect and help you drift off to a sweet, restful slumber. Just remember to sprinkle it on a small corner of your sheet as orange blossom water can stain certain fabrics. Orange blossom water uses and benefits are aplenty. Since it is natural and safe, you can use it to freshen up your skin or relieve headaches or anxiety any time. 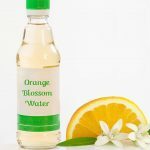 How did you like this post on benefits of orange blossom water? Tell us by commenting in the box below!